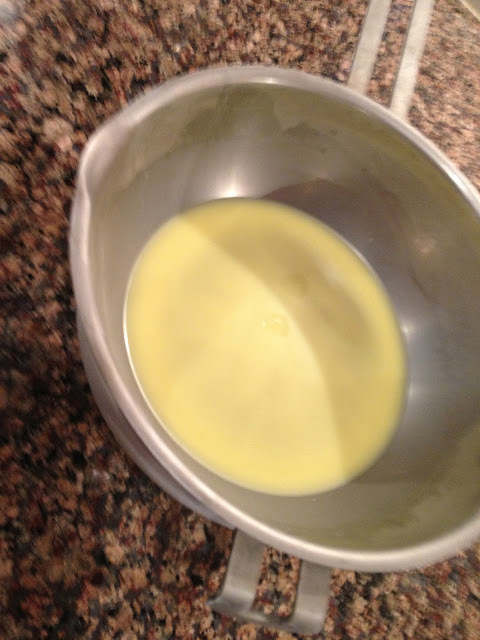 I heated up the hard oils (shea butter and coconut oil) in a double boiler until it was melted completely. I then added the liquid oil (almond oil) and the essential oils which I decided to use. 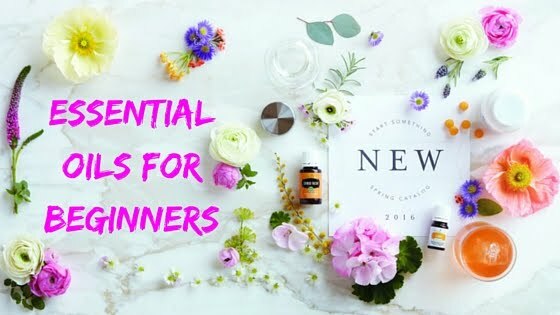 You can be creative in the scent, but some essential oils can be irritating to the skin. Just research a bit before you decide what you want your body butter to smell like. And remember that citrus can cause your skin to be light sensitive. I like lavender and ylang ylang or Peppermint the best! 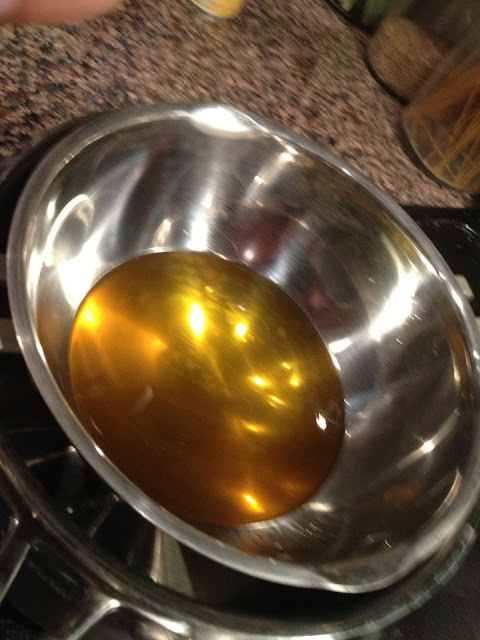 After I added the liquid oil, I put it all in the freezer for about 20-25 minutes. I scraped it into my stand mixer and mixed it on high for a few minutes until it looked like thick whipped cream. Then put it into a glass jar or a container. All done! I had a little too much (obviously) so I just threw that on my legs. It was lovely. My first impression is that it does feel a little oily when you put it on, but my skin soaked it up pretty quickly and now my legs feel smooth and soft. If you notice that the body butter is melting or not holding the "whipped cream look", then it's probably not cold enough. Simply stick it back in the freezer for another 20 minutes or stick it in the fridge and forget about it for a bit. After it's nice and cold, then re-whip it. Also, be mindful of the essential oils that you put into the mix. Citrus oils can cause photo sensitivity. I use it once a day before bed, but now that my skin is more hydrated it's taking longer for the oils to soak in completely (10 minutes or so). BE CAREFUL because it can stain clothing. A little goes a long way with this stuff. Use sparingly. But it is pretty awesome. I've been using it on my legs and I don't know if I'm imaging it, but I think my cellulite is decreasing just a bit. I wish I took a before and after picture! Want More ideas for a Body Butter? I only wear my body shop butter at night because it is very rich and creamy. My skin feels amazing in the morning. I bought the cranberry one in the christmas range. 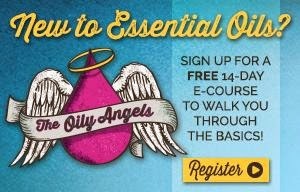 How much of the essential oil do you add? I was thinking of adding lime essential oil, but is that not a great idea since it is a citrus? Hi! I usually do around 10 drops depending on which oils I'm using. I adjust based upon the strength of the oil that I've picked (if it's strong, I'll do a little less and if it's faint, I'll do a little more). You are right about the citrus oils-- they cause photosensitivity so you may be more likely to burn if you use any of the citrus family oils. But lime would be lovely! You can see that I didn't really care that much because I used citrus in mine ;) Personally, I don't think it makes a huge difference, but I wouldn't recommend wearing anything scented with citrus if you're going to spend a lot of time outside. Ok thanks for the help! I think I will add the lime oil being here in MN we don't have to worry too much about sunshine, at least not for awhile! I am going to start making my body butter right now, so excited! I'¨ve been looking to make home made body butter and shower soaps/creams. Most recipes includes cocoa butter/oil. According to this: https://www.beneficialbotanicals.com/facts-figures/comedogenic-rating.html cocoa has a high rate of clogging pores. 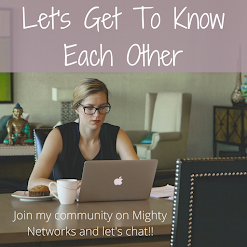 My biggest issues with skin is clogged pores! (Both on face and back/chest). So I've been feeling reluctant to put cocoa oil/butter anywhere near my skin. Any thoughts? Serafima, you are right that shea butter has a higher rate of clogging pores, but so does coconut oil and olive oil. The trick is to mix them with other ingredients! I can't put straight shea butter or coconut oil on my body, but I can when I mix them with other ingredients. There is a great recipe that I've been using which isn't really a soap-- it's a body wash. But I think you'd love it! My recipe may be a bit too oily for you, but if you add some zinc oxide in for SPF it really helps reduce the oiliness. Also, there are essential oils that have really helped with my acne which I love to put in these body butters. Lavender is fabulous! Tea tree also helps, but I'm not a big of a fan of it's scent. Feel affection for to make you fairness! Fairness is now you’re on hand. Apply these natural products and make you fairness and healthy. These natural products change your life style. Be devoted to you very attractive! Do want to make you very attractive? It is very simple way. Using these natural products and make you very attractive. Take these products and alter your life style. I love, love, love this! 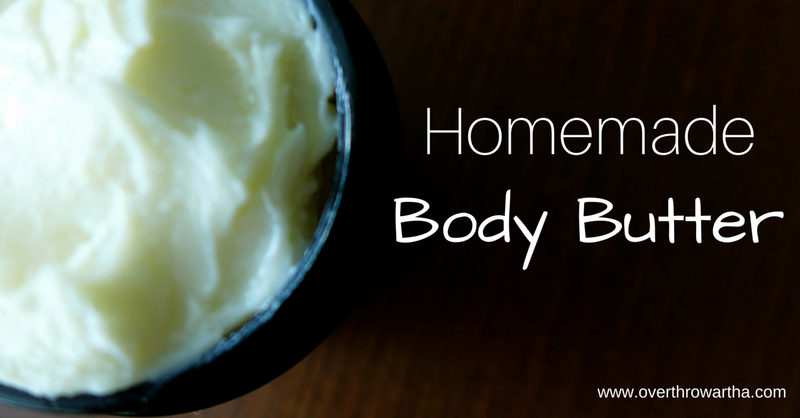 It was my third recipe to try for body butter and the best! Thanks!